Everyone has something to give to support this hallmark event of Pediatric Cancer Research Foundation. 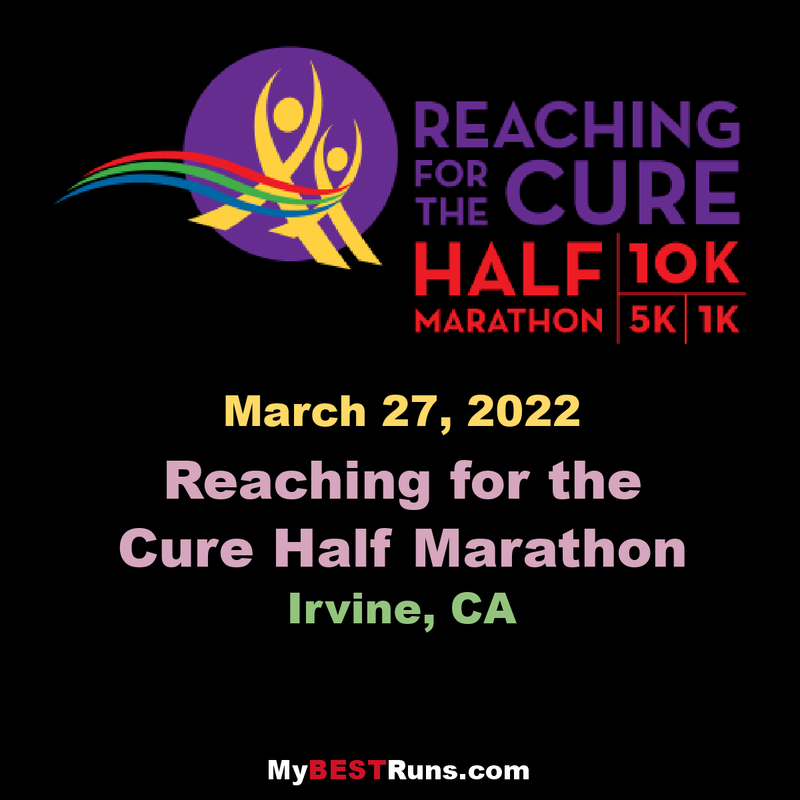 On Sunday, March 17th, the 21st Annual Reaching for the Cure Half Marathon, 10K, 5K and Kids Run will return on the Irvine Valley College campus with the PCRF Community to reach for a cure for pediatric cancer. PCRF welcomes support from Corporate Sponsors, Teams, Volunteers, Participants and Spectators! With options for all fitness levels, the run/walk/bike event features a Half Marathon, 10K Run, 5K Run/Walk, 1K Kid’s Fun Run and five bike route distances. High energy runs throughout the venue; athletes can run/walk, kids enjoy the fun atmosphere, and families connect with the community to support their children’s fight against cancer. 2019 Post-race activities will include our VIP Gold Ribbon Reception and Finish Line Festival featuring an awards ceremony, over 80 health and wellness exhibitors and PCRF’s famous Kids Zone complete with rides, a petting zoo, bounce houses, obstacle courses, face painting and more – fun for the whole family. Funds raised from this event support the annual open grant cycle that has allowed the Pediatric Cancer Research Foundation to support more than 174 grants to 50 principal investigators at 32 leading institutions across the nation. Be a part of the solution: participate, volunteer and fundraise! Get involved and be a part of Reaching for a Cure! Sign up or donate today! Runners in the Reaching for the Cure Run & Ride Half Marathon will follow an out-and-back route that takes them along a combination of city streets and tree-lined trails, including stretches past Oak Creek, Windrow and Woodbridge Community Parks as well as William Mason Regional Park. The race starts and finishes near the campuses of Kaplan International College and Irvine Valley College, just off Jeffrey Road.